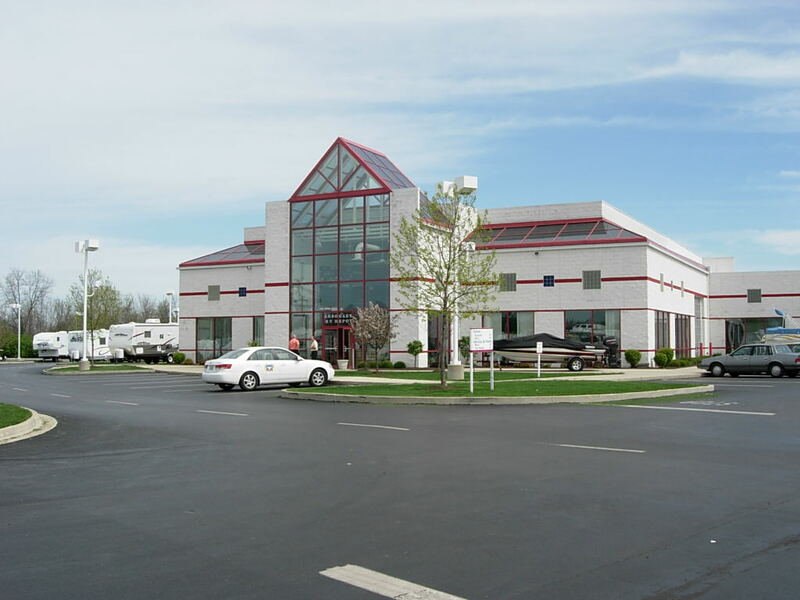 In 1992, Dave Arbogast purchased Wampler Buick-Pontiac-GMC, located off 25A in Troy, Ohio. Within a year of being open, it quickly became apparent the original facility and its location were simply too small to accommodate the goals Mr. Arbogast had for the dealership. The following year, Arbogast purchased 35 acres of land located on the corner of 25A and I-75 and began working with officials from GM on plans for a state-of-the-art facility which would later become a prototype dealership for GM, with hundreds of other dealerships modeled after it. On October 19, 1994, the ribbon was cut and the New Car building opened. Shortly after, the pre-owned vehicle building was constructed and later in 2004, the RV and Boat Depot facility was added. The foundation of Dave Arbogast Buick GMC Vans RVs is based on one thing and one thing alone – offering outstanding customer service. It is for this reason the dealership has experienced continued growth and success. From selling new and used vehicles, to expanding with a specialty in conversion vans; to later adding divisions in RV’s, travel trailers, fifth wheels, and watercraft; our growth and expansion has been astounding. Additionally, our dealership has been honored with awards from every product and manufacturer we carry and has become an industry leader in every market. To this day, Mr. Arbogast attributes this success back to the core foundation established from the very beginning – delivering exceptional customer service. We’re well aware of the fact there are thousands of dealerships nationwide who offer at least one if not more of the same products found at our dealership. How many of them are able to show their entire inventory at one location? How many deliver a “hometown” feeling customers have come to know and love? How many can deliver the vehicle you purchase right to your door, no matter where you live in the country? Simply put, there’s a reason we’re consistently at the top of the list when it comes to both sales and customers service in the greater Dayton area; we appreciate each and every single customer who walks through our doors. Whether we’re located just around the corner from you, or thousands of miles away; we want you to feel like part of the family and will do all that we can to accomplish it.